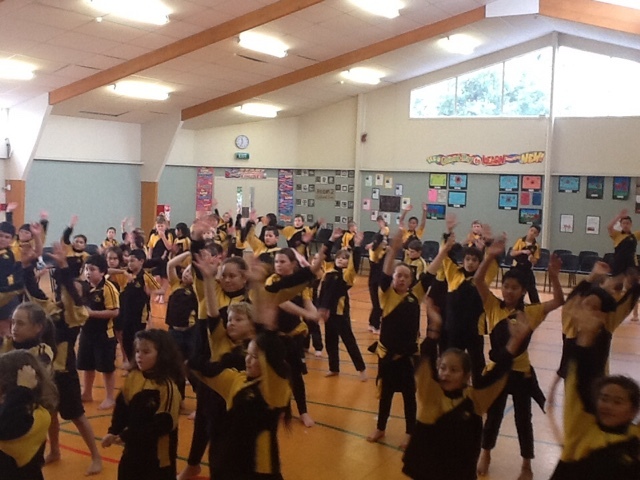 Term 2 and 3 Team Pango have been doing Jump Jam in the hall on wet cold days. We are having lots of fun dancing in the hall. We follow the actions that are on the screen. Here are some photos we want to share with you doing Jump Jam. Tell us if you like our photos of Jump Jam in the comment box. 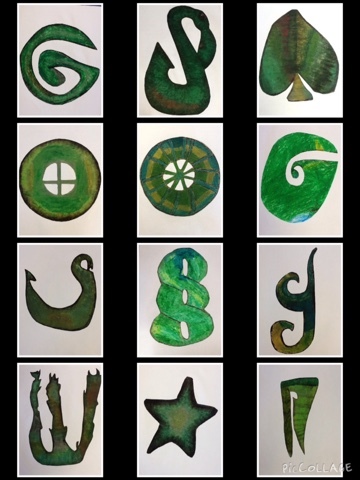 Following on from our visit from Sandra from the Stone Studio we explored the use of pastels to create depth and texture to our Pounamu designs. 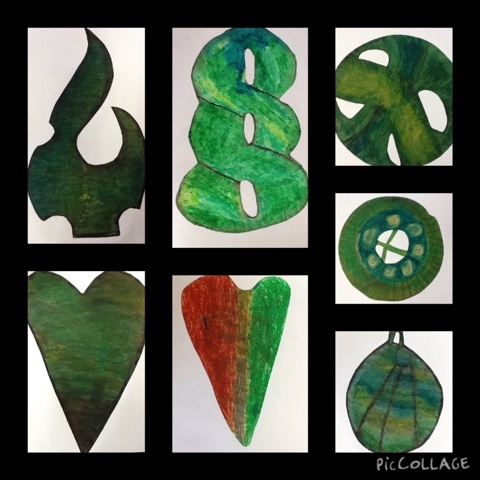 We looked at traditional designs like the fish hook, twist and koru and then we created our own designs. Come in and check out our art displayed in Rm 6. In the last week of term we had Sandra Parker from the Stone Studio visit us. Sandra taught us all about Greenstone. Where it comes from, What it can be used for and how they carve and sculpt it into beautiful designs. 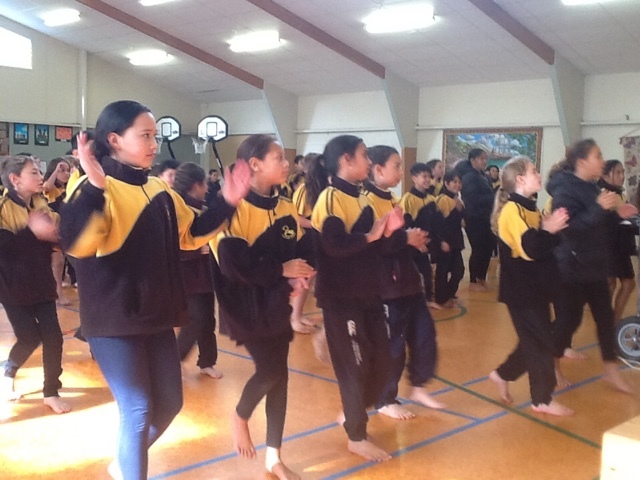 It is such a special taonga and we learnt so much. 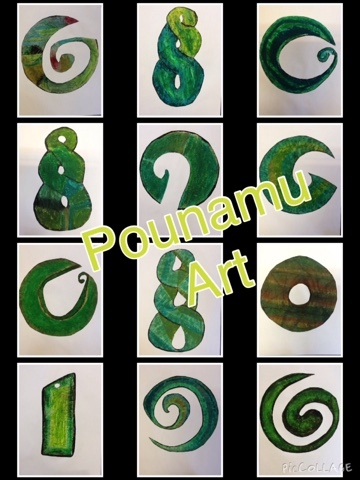 Sandra also showed us how to create a card using Paua pieces to create a design. It was so much fun. 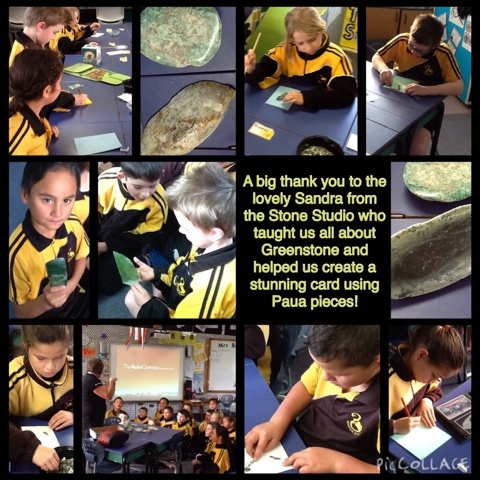 Thank you Sandra for taking the time to come into room 6 and share some of the precious stones and greenstone with us. We all loved our special gift you gave us! 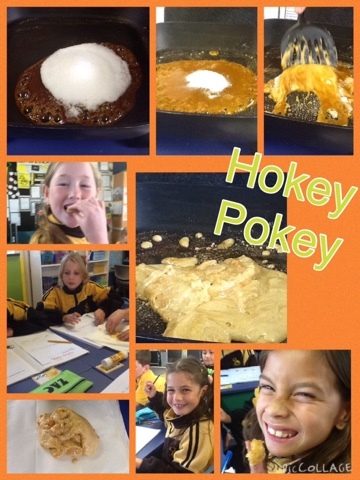 To end our kitchen science unit we made Hokey Pokey. 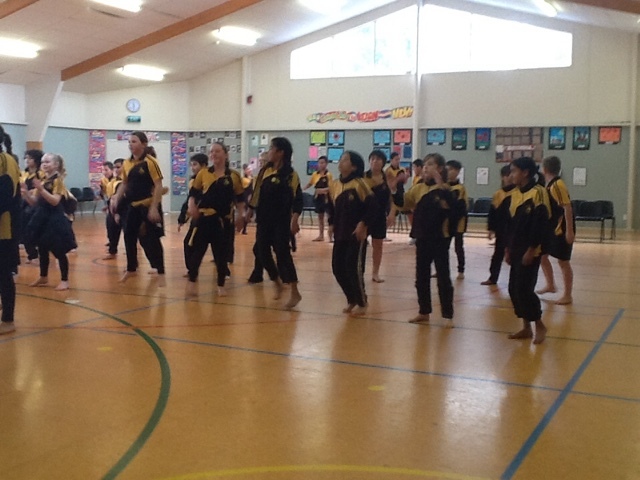 We worked in our cooperative groups and had turns at creating a batch of crunchy golden Hokey Pokey. We recorded the reactions we observed and then got to eat the finished product. It was very sweet and delicious! What kitchen creations do you make at home that have a reaction of some kind? What happens when you dissolve Epson Salts in hot water??? Well it's very salty to taste!! We observed the change over 6 weeks. 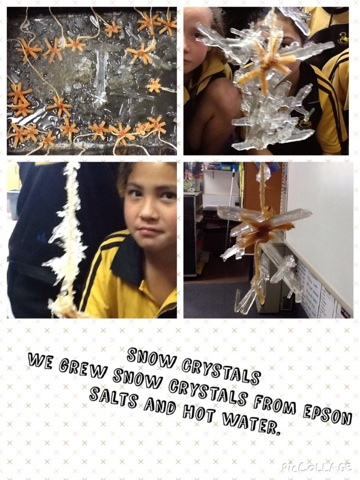 We created a snow flake shape using a pipe cleaner and then we placed them in a shallow tray. We had to wait for all the water to evaporate leaving the formed crystals attached to the pipe cleaner.